TRAVELOUS NEWS for the travel lovers! 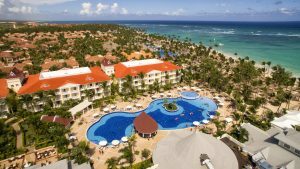 Luxury Bahia Principe Ambar is re-opened after an expenditure of 26$ Million on renovation. Visit the place to see if its worth it! 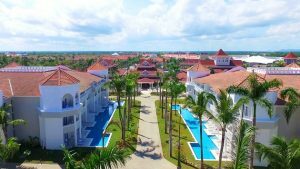 Grupo Piñero, parent company of Bahia Principe – the leader in all-inclusive resorts in the Caribbean, celebrated the official grand opening of its newest adults-only hotel, Luxury Bahia Principe Ambar, in Punta Cana last night. The festivities, which coincided with the Dominican Annual Tourism Exchange (DATE), brought together more than 250 guests to celebrate the property which reopened in November after a comprehensive renovation and enjoy the brand’s new Escape Experience. Per the brand’s recent rebranding and segmentation, the Escape Experience is the most sophisticated segment for adults seeking accommodations, entertainment and programming created with them in mind. The party, which was divided into six events, sought to highlight some of the entertainment the brand’s Escape Experience hotels offer including a burlesque show, rock show and silent disco. Escape Experience also features a heightened culinary offer that brings together the latest trends in gastronomy and mixology as part of the all-inclusive concept. Grupo Piñero invested more than US $26 million to renovate the five star, 528-room beachfront hotel, adding swim-up suites, revamped restaurants as well as a sports bar and fitness center, both also open to guests of Grand Bahia Principe Aquamarine, a second adults-only property within the brand’s seven-hotel Bavaro complex. In its first few months of operation, the property has maintained 94 percent occupancy with a significant increase in guest satisfaction. 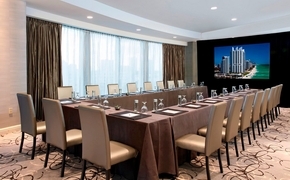 On the Global Reputation Index (GRI), a global index that scores online reputation, Luxury Bahia Principe Ambar has registered at 91 percent and its Net Promoter Score (NPS), an index ranging from 1 to 100 that measures a customer’s willingness to recommend a product or service to others, stands strong at 51 percent. These figures, which represent a significant increase over the past winter season, help solidify the success of the property’s renovation. Grupo Piñero holds a firm conviction in the importance of making a positive economic, social and environmental impact in the countries in which it operates and is committed to contributing to the Dominican Republic’s tourism growth with significant investments such as these, as well as its socioeconomic growth by way of the company’s corporate social responsibility initiatives.